I have used Dr. Allen for a number of years for my eye examinations. Always prompt, informative and efficient. It was a lovely visit with a very informational exam process that was really enjoyable and easy going. The staff wasreally nice to chat with and ask questions, and Dr. Allen was really caring and took extra time when looking into things. It was a lovely visit with a very informational exam process that was really enjoyable and easy going. The staff was really nice to chat with and ask questions, and Dr.Allen was really caring and took extra time when looking into things. Please note that The Portland Clinic maintains a 24-hour cancellation policy. If you need to cancel your appointment within 24 hours of the start time, please contact the practice as soon as possible. Ronald Allen is a mindful and engaged ophthalmologist serving the community of Portland and Beaverton, OR. Dr. Allen attended Western University of Health Sciences, College of Osteopathic Medicine of the Pacific , where he received his medical degree, and completed his residency in ophthalmology at Brooke Army Medical Center. 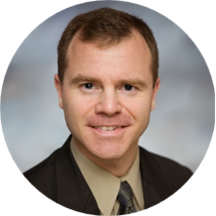 Dr. Allen is a part of the Portland Clinic and is board certified by the American Board of Ophthalmology. He is committed to giving the best care and establishing long-lasting relationships with them. Dr. Allen was elected as a top doctor in Portland Monthly’s 2014, 2015 and 2016 “Top Docs and Nurses” feature. Dr. Allen is devoted to ensuring the longevity of his patients’ health and developing long-lasting relationships with them. He takes his time to understand symptoms and give correct diagnoses to ensure the continued health of all his patients. Very knowledgeable staff. Answered all my questions clearly.